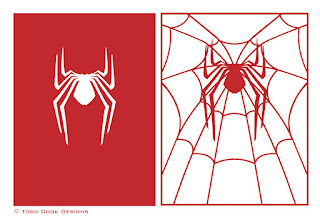 Todd Cook Designs: The Amazing Spider-man! 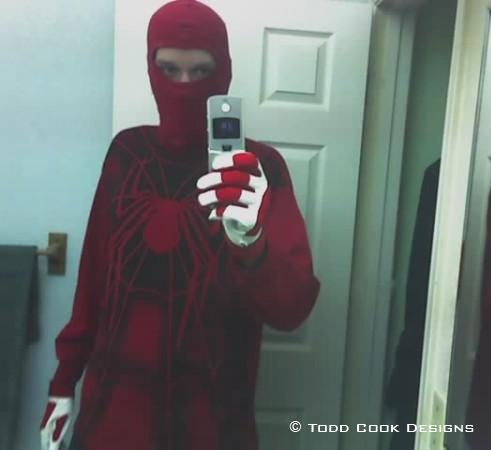 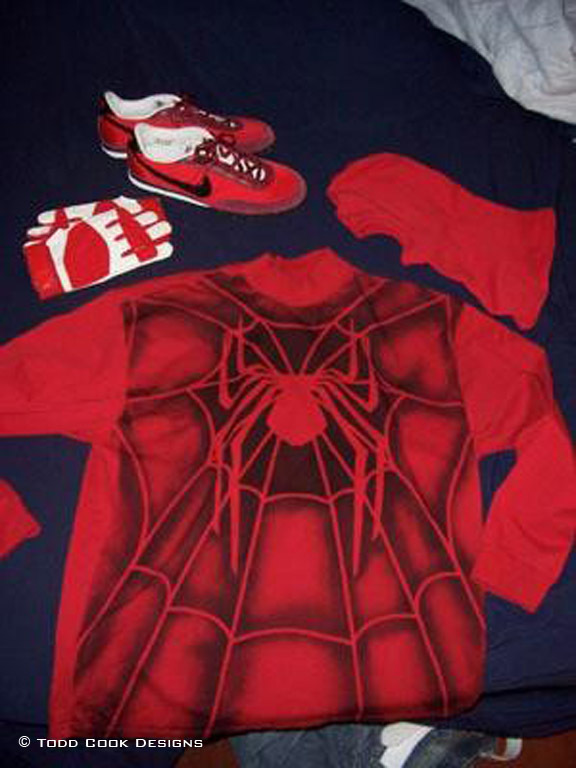 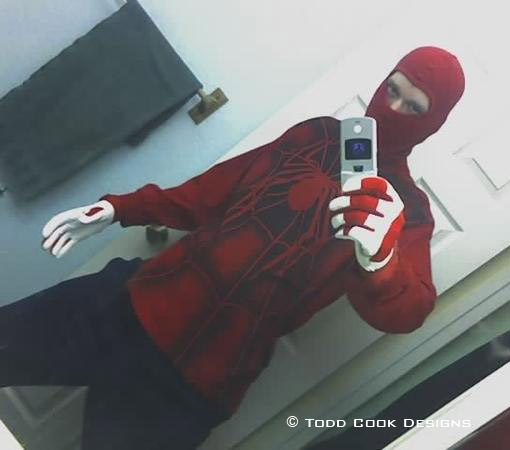 This costume was built when my Spider-man 3 symbiote suit could not be finished in time for Halloween. It was a pretty easy costume to build, and probably the most difficult part was designing the print for the front and back of the shirt in Adobe Illustrator. 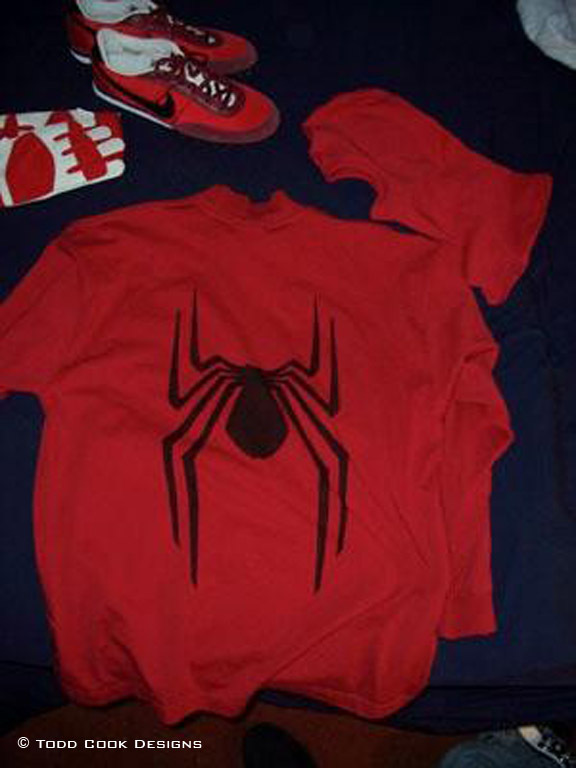 The pattern was cut in vinyl and applied to the shirt as a stencil, then sprayed over with Design Masters black spray paint for fabric.